What’s happening with online estate agents? With Emoov the latest online estate agent to hit the headlines, we take a look at what's happening in the sector. Last week Emoov became the latest online estate agent to hit the headlines after a mixed few months from the sector. While earlier in the year we were hearing about soaring share prices for the likes of Purplebricks and the multi-million pound merger of Emoov and Sarah Beeney’s Tepilo, the second half of the year has not been as positive. Five weeks ago we saw the closure of online agency Hatched. Bought by traditional high street estate agent Connells Group in 2015 as the online arm of the business running alongside it’s high street branches, the group announced the news saying that the online model was “fundamentally flawed”. And even though Purplebricks – who sits heads and shoulders above the other online agents in terms of brand presence and market share – reported this week that growth was good in the six months to October, it’s clearly having to cope with a slow down in the rate of growth. And we now have the news that Emoov is up for sale with founder Russell Quirk suggesting a problem with funding following their merger. With so much going on, what better time to take a look at the online/hybrid agency market, what it has to offer and what might happen next. What do online/ hybrid estate agents have to offer? Despite the not-so-positive headlines coming out of the sector at the moment, there’s no denying the fact online estate agents have a lot to offer. Online agents currently hold around an 8% share of the market – not huge, but certainly not insignificant when you consider it’s a relatively new model. The most obvious reason for their popularity with homeowners is the savings you can make using an online over a high street agent. Whilst most high street agents will charge a commission on the sale of the house – usually around 1.3%+VAT – hybrid and online agents charge a flat fee up-front including VAT. This can result in a saving of thousands of pounds. Online agents normally offer pay up-front packages (so you pay whether you sell your home or not), with prices varying from £99 to £1000, while pay on completion packages are in the region of £1,000 – £2,000. With online agents you can choose from a hands-off package which simply allows you to load up your property details on the major property portals and mange your sale yourself, to packages that include a high street service such as conducting viewings (at an additional cost) and help with negotiations and sales progression. Essentially the market as a whole is somewhat stagnant at the moment. Fewer people are moving. Between August and September the number of transactions dropped significantly, by 16%. Overall new listings fell from 72,593 in September to 68,598 in October, as the usual Autumn rush failed to materialise, according to online estate agents Housesimple. And with greater uncertainty in the housing sector, and general instability caused by Brexit, sellers may feel a little more secure working with a traditional agent. Though high street agents aren’t immune to the current market; one of the biggest high street groups, Countrywide, which owns several high street brands, has been underperforming for some months now. Mark Hayward from NAEA Propertymark, a professional body for estate agents told us, “A subdued market place, low inventory, and weakened transaction levels affect all business models and this combined with political uncertainty produces a need to review operating dynamics and adjust accordingly”. What does this mean for homeowners? 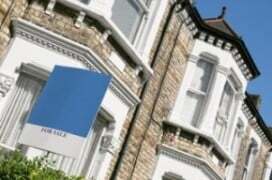 Well the time is definitely right to negotiate your estate agency fee down if you are using a high street agent. And watch out for price hikes from online agents. 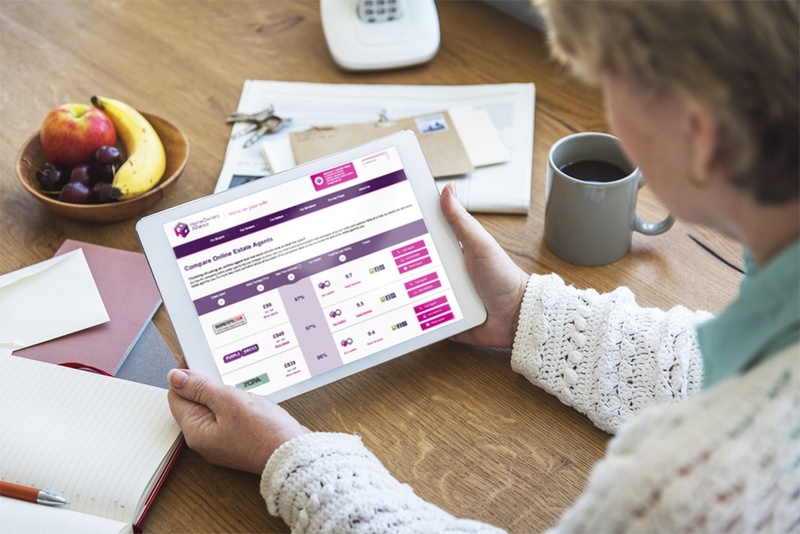 Prices offered by the more established online estate agents have been creeping up with Purplebricks last week increasing their fee (albeit for the first time in two years) from £849 to £899 outside London and from £1,299 to £1,399 in London. And in a recent interview Russell Quirk, CEO of Emoov admitted that delivering a quality estate agency service is hard to achieve for under £1,000. But for now plenty of low cost online options are available. And even £1,000 continues to represent a considerable saving for homeowners looking to sell their home. The current market shake up will hopefully mean all estate agents – high street and online – review their offer and think of ways to give consumers what they want: a great service at an affordable price.